As Nehemiah often said “according to the good hand of our God upon us…” we are in Brazil and with the Carruthers in Presidente Figueiredo. The Lord blessed with safe travel and we landed tired but excited just before midnight. After a 2 hour drive we headed to bed, the ladies with the Carruthers and the men at their church. 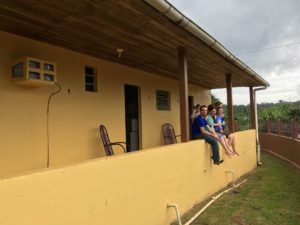 (I enjoyed a true Brazilian experience and slept in a hammock!) We took this morning to rest and are now busy getting ready for tract distribution tomorrow morning. Let me share just a few of the blessings from our travels. Our initial flights were supposed to go through New York, however, due to winter storm Quinn (ironic given the Carruthers’ new grandson shares the name) we were able to change our flights free of charge to fly direct to Miami. On top of that as soon as we arrived at the gate 4 of the group were able to secure exit aisle seats that typically cost a premium to select, again free of charge. I know I enjoyed having the extra leg room! This new flight also meant we had plenty of time in Miami to relax and not worry about missed connections. 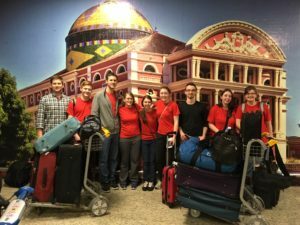 Then when we arrived in Brazil all of our bags were there, including all of the generous gifts so many gave for the trip. 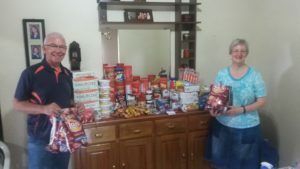 Terry and Jane were so thankful for all that was given and will be enjoying the items for a long time to come (I think they may have enough crunchy peanut butter to last till the rapture ☺) This leads to the final blessing which was that the customs agent let us through without a single question. God is good! We are excited about all God will use us to do as we seek to share His wonderful good news with others and be a blessing wherever we go. Thank you so much for your prayers, God answered abudnetly more than we could ask or think. 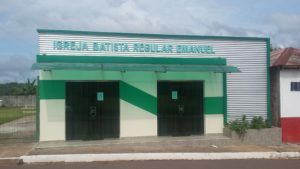 God Bless from Brazil.